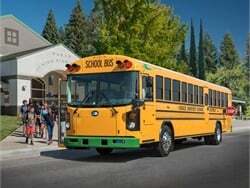 SPOKANE, Wash. — The Durham School Services location here unveiled 54 new propane-powered school buses on Monday. 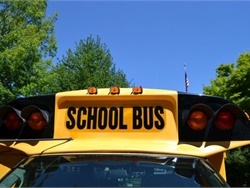 Santos Picacio, the general manger for Durham School Services in Spokane, told School Bus Fleet that the new buses are part of a joint effort with Spokane Public Schools to provide more environmentally-friendly transportation options for students, particularly servicing the district’s special-needs bus routes. 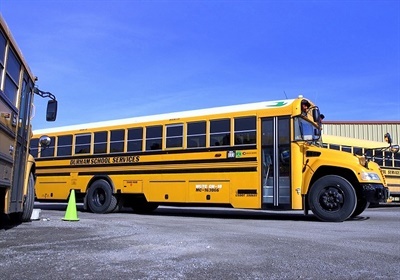 The buses are “eco-friendly [and are a] quieter option that won’t spark anxiety in special-needs students, and [will have] virtually no idling issues in bus bays,” Picacio said. 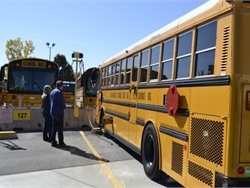 Michael Warnecke, the transportation specialist for Spokane Public Schools, told SBF that he's grateful for the district's partnership with Durham School Services, and that "it will be nice to see a lot less of a carbon footprint." 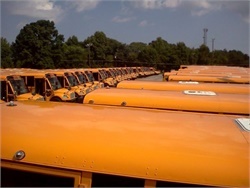 Picacio said that 25% of Durham's fleet will be propane by next school year, and the company will use an 18,000 gallon onsite propane tank to fuel the buses. 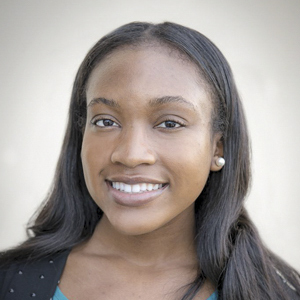 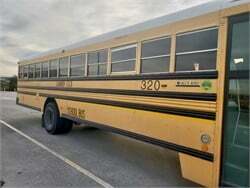 Durham School Services transports nearly 7,000 Spokane Public Schools students more than 9,000 miles every school day, according to a post on the district’s Facebook page. 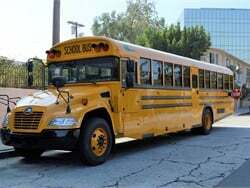 The district added in the post that over the next few months the transportation company plans to replace its more than 200 school buses with propane or clean diesel buses. 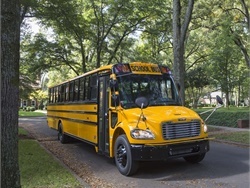 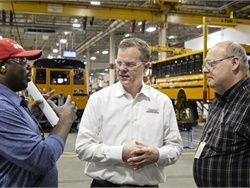 The 488LPI propane engine, which is available on Thomas Built Buses Saf-T-Liner C2 propane school bus, is approved for sale through Dec. 31, 2019. 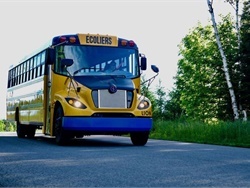 The West Fargo Public Schools board of directors provides $314,200 in funding for the district's and state's first electric-powered school bus. 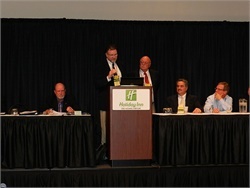 The Type A sales boost looks to be joining a small but growing trend toward the electric fueling option. 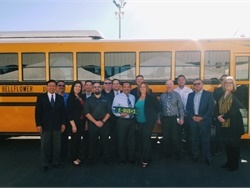 Bellflower Unified School District displays the two new Blue Bird Type D All American Rear Engine Electric school buses it received in September. 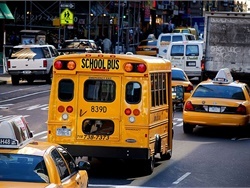 Nearly $13 million of the state’s $64.8 million in mitigation plan funds will go toward replacing aging diesel school buses with new diesel-powered, electric, or other alt-fuel buses. 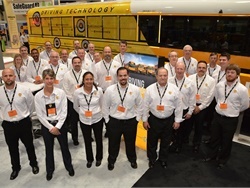 The company concludes its three-day Road Show at an event in Los Angeles with educational sessions and a ride-and-drive of a Blue Bird Vision Propane school bus, among other propane-powered vehicles.